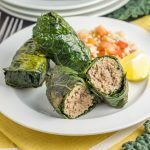 Paleo and Whole30 compliant Italian turkey kale roll ups are a unique way to combine nutrient-dense leafy greens with lean protein enhanced with tons of Italian spices. Just blanch, wrap, and cook! No pause in between. Just all the thoughts in one little brain, spewed out enthusiastically all before the sun is up. I can’t even mutter, “buddy, it’s too early” before he’s grabbing my hand and yanking me out of bed. It’s the most annoying yet heart-warming morning alarm ever. I can’t even be frustrated because he’s so dang happy. And I know one day I’ll miss it, but today, I’m just really, REALLY tired. Basically by dinnertime, I am a walking zombie (ok let’s be honest, by lunchtime I’m a zombie). 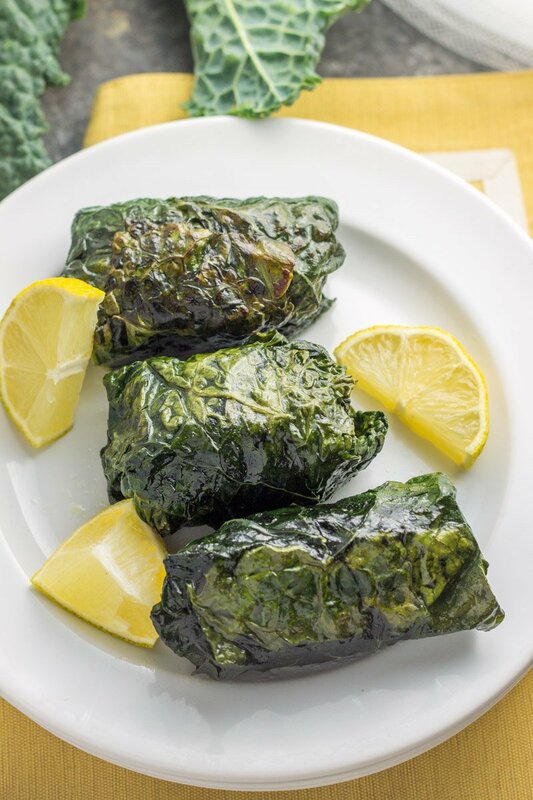 So while I’m all about eating these Italian turkey kale roll ups the same day I make them, I’d be lying if I said that actually happens. Because I heat these babies reheated as leftovers, a lot. I feel a little funny saying that out loud. “Oh hey I’m a full-time food blogger but I heat leftovers pretty much every day”. The glam life. Someone’s gotta do it. But you know what, there’s no shame in my game. I mean, who’d say no to a delicious, Whole30 meal with leafy-greens and savory lean protein, that tastes great reheated? What I’m trying to say is reheating this meal requires minimal thinking when your running in empty in the brain power/sleep department. 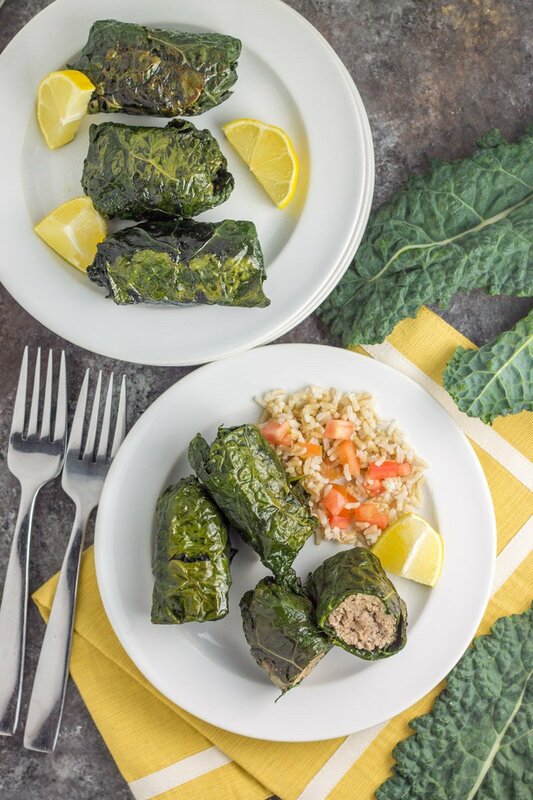 These Italian turkey kale roll ups come together in just a few simple steps – blanching the kale leaves, wrapping the herb-packed turkey like a delicate little gift, and cooking up in a flash. 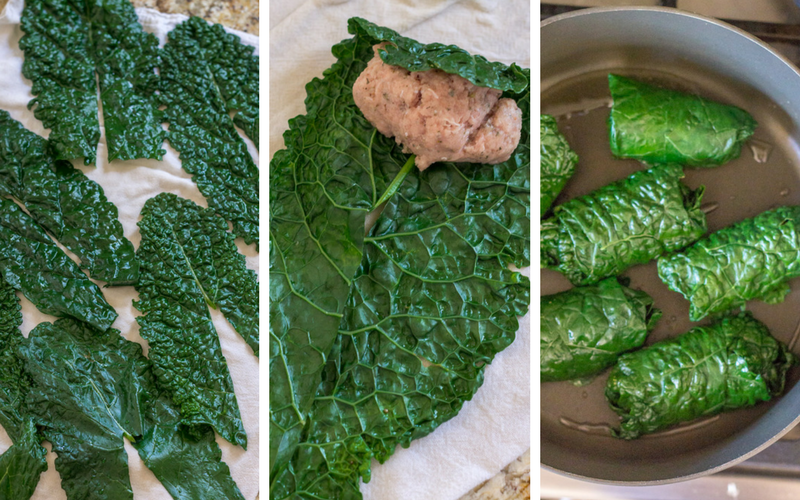 To start, cut are remove the thick stem from roughly 6-7 large Lacinato kale leaves, leaving the top half in tact. Bring a large pot of water to a boil, then one by one, submerge each kale leaf into the water for 10-12 seconds, then quickly transfer to a bowl of ice water (dunking another 10-12 seconds). Lay each leaf on a large towel and pat dry. 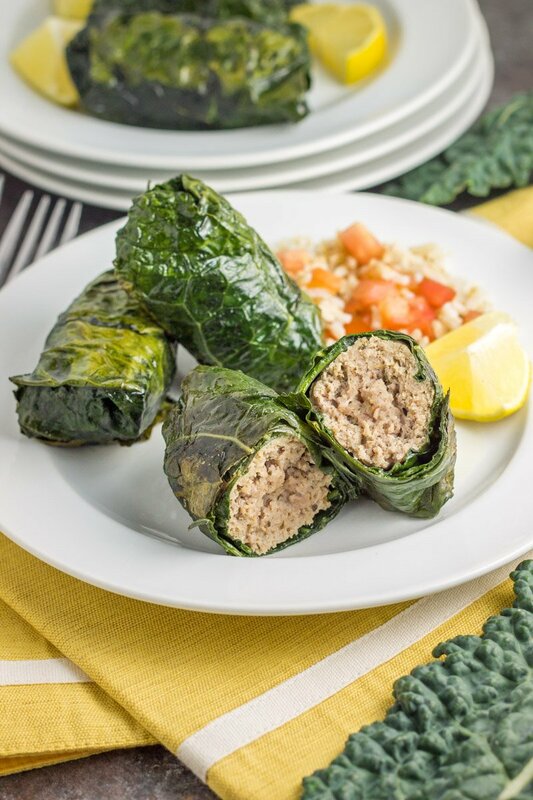 Combine the dried herbs to the ground turkey, then scoop out roughly 1/4 to 1/3 cup of the turkey mixture and place near the top of the kale leaf. Fold the leaf around the top of the turkey, then slowly roll the leaf around the turkey, tucking in the sides as you roll up to secure before you reach the end. Make sure you arrange the cut middle of the leaf (where the stem once was) to meet, in order to avoid any turkey from peeking out. Once all the turkey is wrapped, heat 2 teaspoons olive oil in a large pan over medium heat and place the roll ups into the pan. Cover the pan and cook for four minutes. Next, remove the lid, gently flip the roll ups using kitchen tongs, and reduce the heat to medium/low and cook an additional 8 minutes. Spritz the kale with a little lemon juice, then remove from the pan. Serve immediately or let cool and refrigerate. When ready to eat, use a sharp knife to cut the roll into thirds or fourths. Add a little more lemon juice to top if desired. 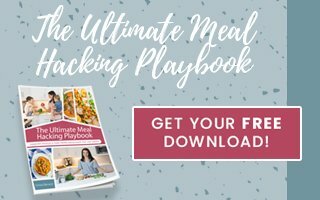 And be sure to check out these other winning recipes using ground turkey! Balsamic Ground Turkey and Apple Breakfast Hash, and Primal Greek Turkey Burgers. Ive never actually made a wrap with a ‘green’. Love how bulky and filled up these babies are! I can’t wait to try these! I think that I’ll serve them with some pasta sauce and zoodles for my kids. I don’t know how you do it, making recipes for the blog, caring for two energetic boys, getting up at 5:15 AM. I definitely see God’s sufficient abundant grace carrying you along Chrissa. These look so yummy and perfect for a quick meal. I love this idea!! 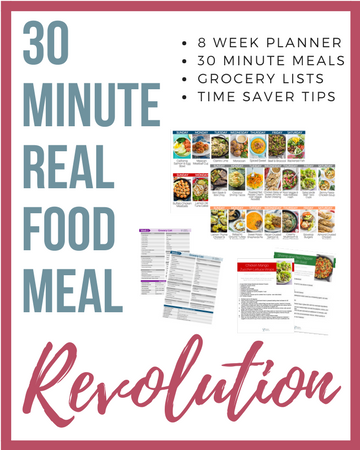 These would be perfect to prep for lunch or make for a quick dinner. This looks delicious and I can’t wait to try it, but I have question, is the turkey mixture completely raw when you put it into the blanched kale leaves? Yes, totally raw when wrapped!